Zone Base: Minor or Major? So, picture this. It's just after midnight and I'm on my lunch break (night shifter). 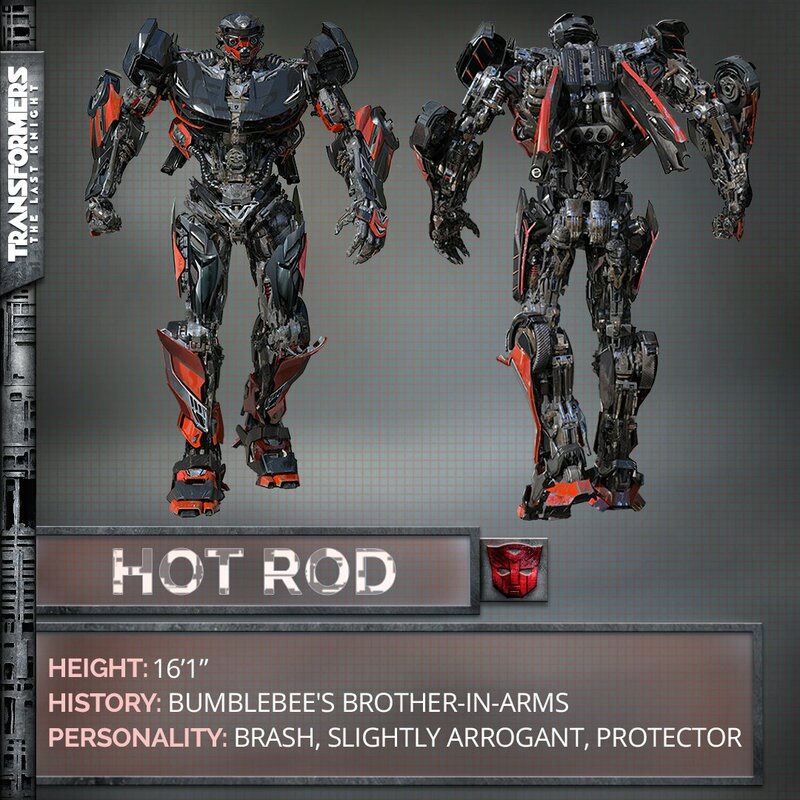 I'm just sitting here eating my salad and see that the TF5 Twitter account posted a look at the movie version of Hot Rod. Without a doubt, it's not traditional G1 and is mostly dark colors. Now that the obvious is stated, I kinda like it. I like the overall design and look. I've been wanting Hot Rod to be in the movies and have always considered his personality a good fit for movie universe characters. *Shrug* I don't hate the movies. I'm looking forward to buying him at Walmart. *HOURS LATER EDIT* I just realized he would make a perfect Rapido. I think I would loose my mind if they had Rapido in the movies.